The Sienna by DarenthMJS presents a futuristic approach to machine design and features exclusive styling with fine lines to perfectly compliment the high quality of beverages produced. 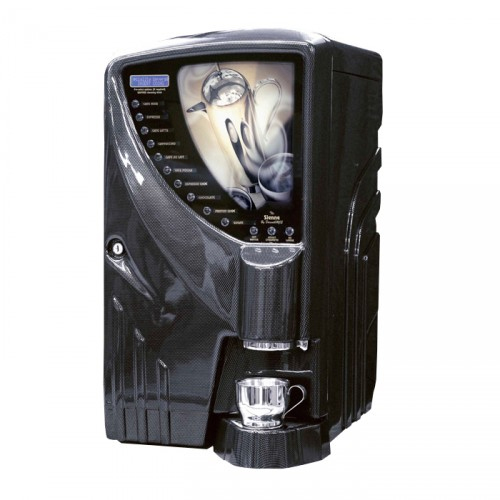 This highly featured, superbly styled beverage dispense machine is the perfect choice where a wide range of deliciously tempting, freshly made hot drinks are required. 11 chrome effect one touch drink selection keys. Optional “Go large”, “Strength adjustment” and “Go decaf”. Optional electronic coin validator and I-Key cashless payment system. High capacity drip tray, with stainless steel feature trim and electronic sensor fitted as standard. Built in flush facility to maintain interim hygiene and all drink contact components are easily removable for cleaning. Entirely separate mixing station for each ingredient to prevent cross contamination of taste and allow total flexibility in recipe selection.